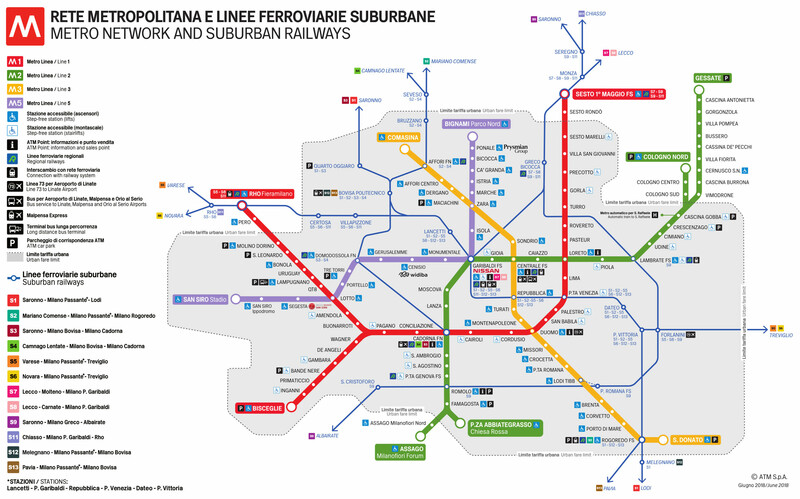 Milan overground lines of public transportation system consists of buses, trams and trolley lines and connects every corner of the city within and outside the urban area. 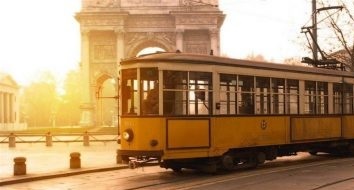 Milan’s overground public transport system works every day. Lines 90 and 91 run twenty-four hours a day; line 9 from 04.00 a.m. to 02.00 a.m.; tram lines from 04.30 a.m. to 02.30 a.m.; bus lines from 05.30 a.m. to 01.40 a.m. Click here to read more information about timetables. In order to get on board you have to purchase a regular ticket. Click here to find details about tickets. If you are looking for a journey on historical tram lines, we suggest to take these lines: 1, 3, or 33. By using the surface transport system you can reach only one of the three airports of Milan: Linate City Airport. You can take the bus line 73 in Piazza San Babila, only a few steps away from Piazza Duomo.